Good post! I do agree with the above comment however, I also enjoyed the post! 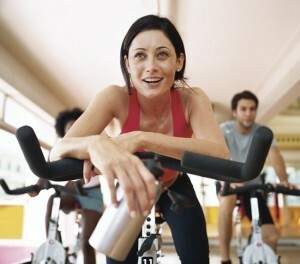 I have always wondered if I should try indoor cycling because I have an injury, but you may have persuaded me. As you said, it’s a great workout which has been proven by health officials and yourself. That being said, something that stood out to me was the price. It’s a rather expensive price to pay for just a good workout which leaves me wondering how low-income people who may or may not be overweight can fit into this. It’s no secret this country has issues with obesity, primarily in poverty stricken areas where healthy food is not accessible, but this is also an issue. I think this would be another component that would be worth looking into. How can we get these great exercise opportunities to people with low incomes? Truthfully, I had trouble following the blog and the question you were trying to answer. At first, I believed you were defending that cycling classes are worth the $25-30 amount and then reinforcing that claim with all of the benefits that come from cycling. 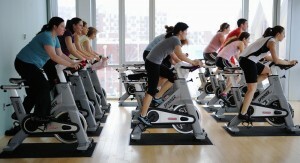 But the title of the blog is “Indoor Cycling: Treasure or Trend” and I felt that the blog was more focused on listing benefits of cycling rather than answering the question whether or not indoor cycling is popular for the community aspect of the classes. I also found the conclusion of the blog to be very weak because saying cycling is worth it “if you’re there for the right reasons” is not definitive and does not give the audience an opinion on indoor cycling. Besides that, I liked how you added the reference to The Bachelor because I watch the show as my guilty pleasure.